In the first quarter of 1992-94, data from appraisal client surveys were presented requesting changes be made to the Uniform Standards of Professional Appraisal Practice (USPAP). Changes were made to USPAP effective July 1994. In the first quarter of 1995, the 4th Annual Appraisal Client Survey clearly stated that there were problems with the July 1994 USPAP changes. The July 1994 USPAP changes did not improve the ability of clients to utilize the requested services from independent, unbiased real estate experts. In the first quarter of 1996, the 5th Annual Appraisal Client Survey requested feedback on how to change USPAP to better serve clients. The end result of this research is to offer a change to USPAP which includes broad ethics and standards along with a menu of clearly-defined services. One respondent stated "Appraisers must be able to work without a noose around their necks. USPAP does not work and should be totally reviewed." Another respondent stated "Appraisers are almost a dead species if they cannot change." Another respondent stated "It is ridiculous that we have to find loopholes or hire non-appraisers to get what we need." Another respondent stated "It's like being 'ordained' as an appraiser and not being allowed to 'take off the collar' even to provide useful advice." In the first three annual client surveys, respondents clearly stated that they have a need for services beyond the one-size-fits-all appraisal report and that they would like these services from an independent, unbiased real estate expert. These comments were passed along to the Appraisal Foundation in the first quarters of 1992-94. The Appraisal Foundation made changes to the Uniform Standards of Professional Appraisal Practice (USPAP) effective July 1994. USPAP are the requirements that state licensed and certified appraisers must follow. In the fourth annual client survey (1995), respondents clearly stated that the July 1994 changes were useless or as one respondent stated "Figure out the problem and then create a solution." While there were numerous complaints and specific examples of problems with the July 1994 USPAP changes, better alternatives were not clearly addressed. This fifth annual client survey (1996) requested feedback on how to change USPAP to better serve clients. Before discussing the survey's main focus, the following three issues will be summarized; 1) Three Approaches Verses Researching the Market, 2) Listing Period On a Go-Forwards or Go-Backwards Basis, and 3) "I Wish I Could Hire An Independent, Unbiased Real Estate Expert To _______". Three Approaches Verses Researching the Market - USPAP currently requires that if one of the three valuation approaches (Cost, Income, or Sales) is not utilized, the writer must explain why they are not including this approach. Sixty-four percent prefer to have USPAP changed and require the appraiser to research the market to examine how the market values properties similar to the subject and then follow these approaches. This is considered relevant for two reasons. In the past, the majority of the respondents stated that the appraisers should follow the historical three approach methodology and this has now changed. Secondly, the requested change to USPAP is away from a "standard" report and towards a "market-oriented" report. Listing Period On a Go-Forwards Basis or On a Go-Backwards Basis - Currently, USPAP mandates a market value definition with a completely theoretical assumption that the listing period has already occurred; that one can go back in time and begin listing the property. Sixty-three percent prefer USPAP to give the client the option of whether the listing period assumption should be on a go-backwards basis or a go-forwards basis. Pension funds, accountants, and many others prefer to have a market value with the assumption that the listing period has already happened. While other clients such as those wanting to sell their property or clients that hold the property as collateral, prefer to have a market value with the assumption that the listing period is on a go-forwards basis. This was also considered relevant for two reasons. USPAP tried to address the concern that many clients wanted to know "how long it would take to sell the property and for how much." USPAP created "marketing time" (go-forwards listing period) but the market value definition was still based on a go-back-in-time listing period. The estimate with a go-forwards listing period assumption is termed a prospective market value. Yet the exposure period (go-backwards listing period) and market value estimate still have to be reported when one requests a prospective market value. Instead of understanding the problem and then creating a solution, USPAP was changed and the changes made the situation worse in the opinion of many clients and appraisers. The second reason that this was considered important was that clients again wanted to be given an option and all they wanted was what they requested. Slightly more than half of the clients surveyed preferred to have the listing period to be on a go-forwards basis and did not want the standard market value estimate with the go-back-in-time-to-begin-listing-the-property assumption. This proposed change to USPAP would save time, reduce unnecessary costs, make reports more concise and more straightforward, and would give a slight majority of the clients what they prefer. Tell me what I could sell a property for and how long it would take if I got the property back. Give a realistic current market approach like a broker would instead of a past market value. Research market sales. All I need is more and better data. Anticipate market direction rather than past performance. Perform consultative services with values and not have it be a full appraisal. Help me make informed decisions. Provide due diligence required for portfolio analysis, securitization, and other Wall Street activities. Provide various services such as described on this survey. The main focus of this client survey was to examine if there could be a better alternative to allow clients to utilize the services of appraisers than the July 1994 USPAP changes. The July 1994 USPAP changes now segregate the appraisal process into two categories, Complete or Limited. To utilize the Limited appraisal process, the client has to ask the appraiser to invoke the Departure Provision. The choice of the name "Limited", the idea that a client is going to ask an appraiser to "invoke the Departure Provision", and the general concept that a client wants something "Limited" is misguided. Clients do not want "less analysis" nor a "half-hearted summary." Clients do have the need for "full, complete, detailed" analysis which they do not want in the form of a standard appraisal report. The July 1994 USPAP changes also prescribe three report formats for each of the two appraisal processes. This created six options. The three report formats (Restricted, Summary, Self-Contained) all have the same 13 required points but differ on how seven of these points are either "stated, summarize, or described." The remaining six points are identical in each report format. Restricted reports are defined "for use only by the client." USPAP was changed to allow appraisers to expand their services at the request of clients. Yet the USPAP changes effective July 1994 have not improved the situation with 98% of all reports falling under a single option with the remaining 5 options being relatively useless. Many clients stated that Restricted report formats are against the law as a copy can not be given to the borrower. Clients do not agree with, nor want, a "Limited" appraisal process which has an emphasis on why the analysis is not a typical appraisal. The fact that the three reporting formats have the same information point to that fact this "really limits what the appraiser is able to do." The main point of the July 1994 USPAP changes was to allow clients to get what they wanted from independent, unbiased real estate experts (appraisers). Two specific changes to USPAP were researched; Either offer a proposal to create a menu of typical services or offer a proposal to create broad ethics and standards as a foundation from which services would have to be provided (and void the specific requirements). Based on initial focus groups and the initial testing of survey drafts, the consensus was to see if clients would be interested in being offered a menu of typical services which would be supported by underlying ethics and standards (which many respondents feel are already in place but simply need to be broaden). 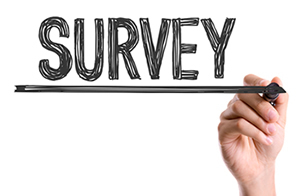 The survey asked clients if they would prefer a menu of typical services over the current USPAP system of Complete or Limited appraisal process reported in either a Restricted, Summary, or Self-Contained format. This was done on the front side of the survey without showing clients an example of a menu of choices which were summarized on the back side of the one-page survey. On the front side without an example of choices, 71% preferred a menu of typical services. On the back side of the survey with an example of choices, 82% preferred a menu of typical services. As suggested by several respondents, creating a menu of typical services could be offered as an addition to the current reporting system and not as a replacement. The survey listed 11 examples of varied scope of service options with very abbreviated explanations. Each scope of service option would have to be clearly defined. There likely would be additions and deletions to the option menu as the demand for services evolves with the demands of the market. Similar to other professional services such as accounting, the option menu items need to be standardized nationally and this could be easily achieved. An interesting note was that most respondents did not simply rate each menu option evenly. Most respondents expressed a strong preference of 1-2 scope of service options and many also had no need for some other scope of service option. Of the examples listed in the survey, the scope of service option that received the lowest percentage of having a need for was Statistical Modeling (50% with the next lowest being Contract Price Verification Letter having 76% express a desire for this option). This was considered very interesting in light of the extensive discussion regarding artificial intelligence, large data bases, and computer modeling. Considering that 84% of the respondents were associated with a lending institution, one might have thought that Statistical Modeling would be of interest to a higher percentage of respondents. It should be emphasized that the point of the survey was not to fully develop clearly-defined scope of service options, but rather was to investigate the preference of clients towards this alternative or towards the existing USPAP system. Allow the client to set the level of due diligence she/he requires to make their business decision. Very good idea - Add specialization and you are back in business! Agree so long as the scope is defined. This seems to have some substance and covers areas of concern to clients. Appraisers are losing a lot of business due to their limitations. All of the above are good ideas provided there is a published definition of all menu items. Also would like market risk assessment analysis; Market and financial projections. The more options and flexibility, the better. This menu is good in that it's broadening the scope of services. Corp. mgmt, isn't interested in some USPAP complying report, they want informed research. Should be able to do whatever the client asks within the bounds of ethics and integrity. Win-Win Situation - When someone opens a restaurant and has only one thing on the menu, they probably will not be in business very long even if the service is good. Also if the customer has to tell the chef what they want in detail, neither party will be happy. Alternatively if the customer gets to pick from a clear menu, the customer generally knows and likes what they ordered; the restaurant can make money and make the customer happy if the chef does a good job. The world is rapidly changing and the appraisal/real estate consulting profession needs to rapidly evolve forward with their clients by offering services that are valuable and clearly understood. The July 1994 USPAP changes were useless. Changes need to be made to USPAP which address the needs of clients by offering a menu of well-defined, client-oriented services. Clients will be able to utilize the services of those who can best provide independent, unbiased real estate expertise and appraisers will profit from providing valued services. Summary: Clients have clearly expressed interest in obtaining a variety of services from independent, unbiased real estate experts (appraisers). The long-term viability of the appraisal profession lies in its ability to fulfill the demands of its clients. The July 1994 USPAP changes are not aiding clients to obtain services other than the standard appraisal report from appraisers. The underlying focus of the July 1994 USPAP changes was to allow clients to hire independent, real estate experts/appraisers to meet their valuation needs. With the current USPAP regulations, an appraiser may not be able to provide expert, valuation-related assistance to a client when requested. Currently if an appraiser gives an opinion related to value then a full appraisal file must be completed. The Appraisal Foundation should ask potential clients what they need and then create a menu of typical services that can be provide under a clear ethics and allow appraisers to provide valued services efficiently and effectively. While one can argue that much of what clients are requesting can easily be provided under the existing USPAP, many clients disagree. In addition, every single appraiser that was interviewed, stated that they do not follow USPAP on occasions to meet the requests of their clients. Clients and appraisers need to let the Appraisal Foundation know whether they like the July 1994 changes or else offer an alternative. Please forward your thoughts to the Appraisal Foundation, 1029 Vermont NW, Suite 900, Washington DC, 20005-3517.